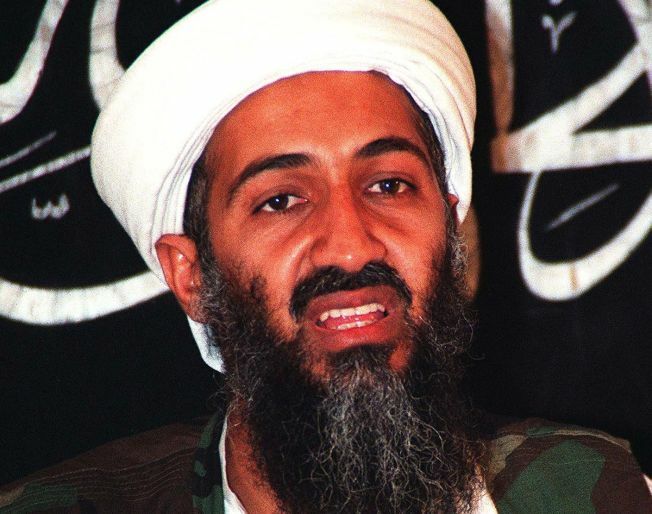 Researchers say they've found where 9/11 mastermind Osama bin Laden is hiding out. Osama bin Laden may be hiding out in one of three walled compounds near the Pakistani border, according to scientists who've used satellites and geographic analysis in an attempt to pinpoint the fugitive terrorist's location. University of California-Los Angeles researchers used nighttime satellite images and population-detection methods to target what they believe to be the 9/11 mastermind's hiding place - Parachinar, a town mere miles from the southern Pakistani border, according to USA Today. The researchers took into consideration where bin Laden has been spotted and where he would likely frequent since he went underground in 2001, mapping out potential nearby lairs where the al Qaeda leader could set up house. The amount of available electricity and the population density of the areas bin Laden was likely to travel through were also a factor in the study's conclusions. Geographer Thomas Gillespie, who led the UCLA research team, previously used similar techniques to locate endangered species and criminals. The bin Laden study was born out of a seminar Gillespie was teaching to undergraduates on how to use mapping techniques to solve real-life problems, USA Today reported. Government officials told USA Today that Gillespie's conclusions could potentially hold weight once they are fleshed out and published in journal form. "The combination of physical terrain, socio-cultural gravitational factors and the physical characteristic of structures are all important factors in developing an area limitation for terror suspects," John Goolgasian of the federal National Geospatial-Intelligence Agency told USA Today. President Barack Obama has said on the campaign trail and in office that one of his main priorities in the White House will be to locate the terrorist leader. "My preference obviously would be to capture or kill him," Obama told Katie Couric in a January interview. Last week, Obama said that he would begin actions to disable al Qaeda activities in Afghanistan, though he did not have a precise timetable mapped out for action in the region. "What I know is that I'm not going to allow al Qaeda and bin Laden to operate with impunity attacking the U.S.," Obama said on Feb. 9.